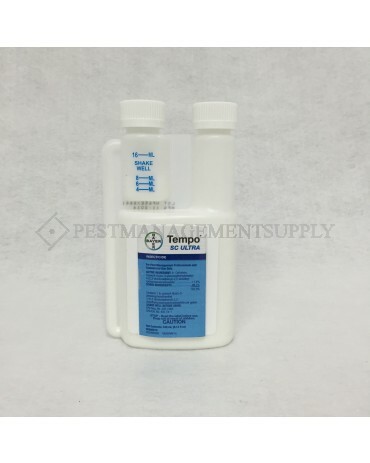 Tempo SC Ultra Insecticide is the fastest-acting insect control onthe market. This suspension concentrate delivers the power of apowder formulation in a liquid. It’s easier to use, less messy tohandle, needs less agitation and is more evenly dispersed duringapplication. Quick broad-spectrum control of more than 100 nuisancepests. 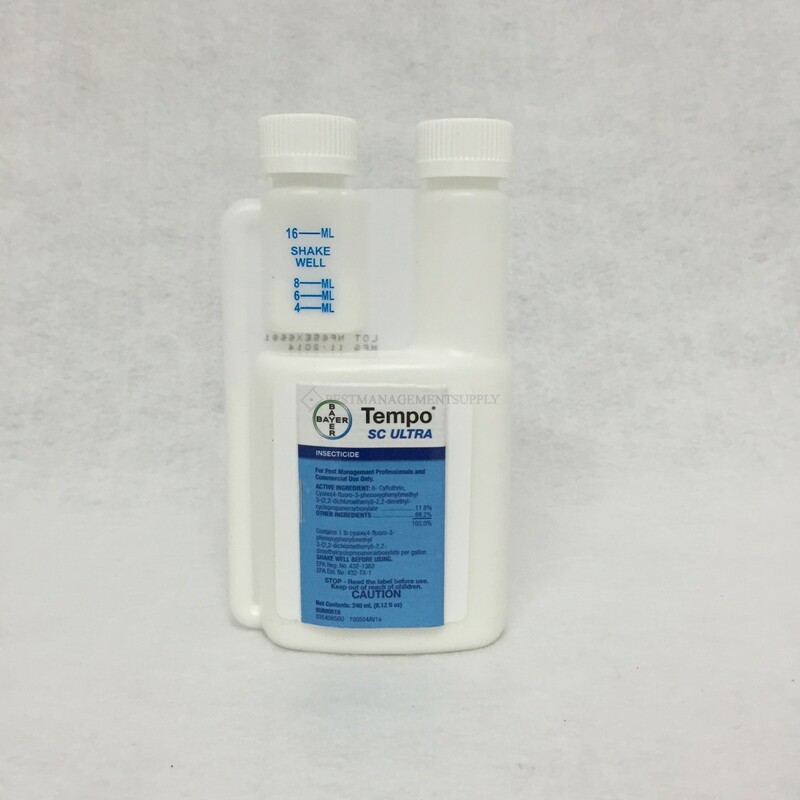 Tempo SC Ultra effectively controls over 100 different types of indoor, outdoor, turf and ornamental insect pests. Tempo SC Ultra is a suspension concentrate that delivers the power of a powder formulation in a liquid. It's easy to use too-less messy to handle, needs less agitation and is more evenly dispersed during application than other products. Tempo SC Ultra has no odor, is non-staining, and has a long lasting residual of up to 3 months. Some microencapsulated formulas may seem less expensive than Tempo SC Ultra- until you actually use them. But Tempo SC Ultra has a higher insect mortality rate, so you don't waste time and money on retreating areas. For outdoor applications using a hand sprayer, mix 8 ml-16 ml of Tempo concentrate into one (1) gallon of water. Spray finished solution around perimeter of structure including door frames and window frames. For more complete instructions on outdoor applications for turf and ornamental insect pests please refer to the product label. For maximum perimeter control of pests with Tempo Ultra SC, treat the soil, turf and substrate adjacent to buildings. Also treat the building foundation, walls, around doors, windows, and soffit areas. Because mulch and pine straw make control of perimeter pests more difficult, you should rake back before application with Tempo Ultra SC, wherever possible.